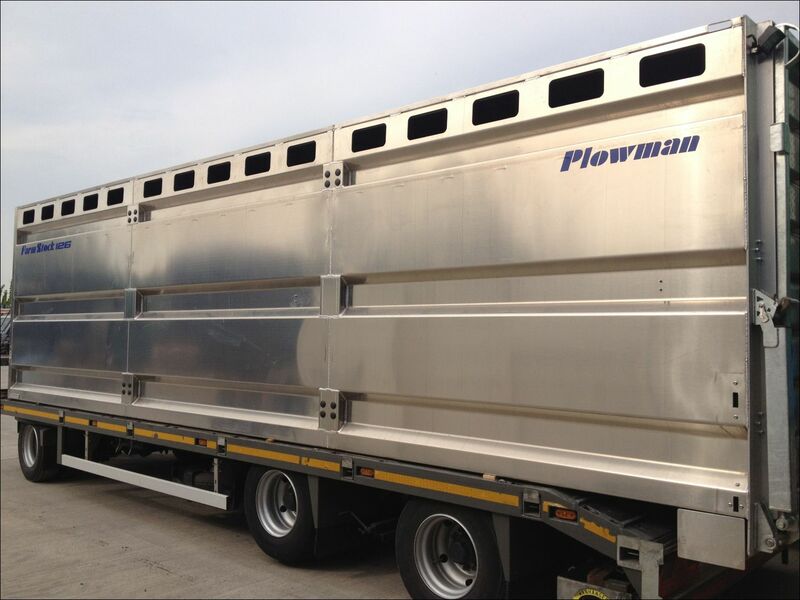 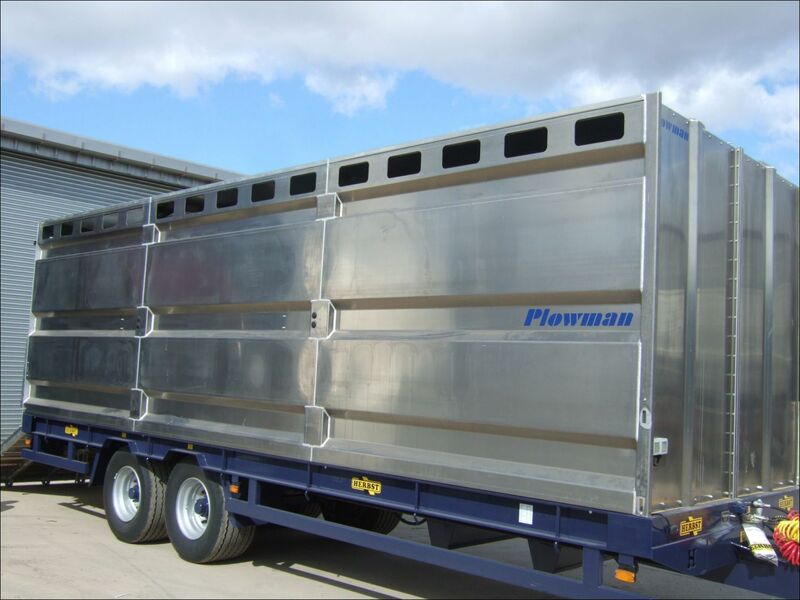 Plowman FarmStock containers are designed for tractor pulled trailers. They retain the build quality and strength of our road haulage trailers and containers but kept as simple as possible for farm use to keep costs down. 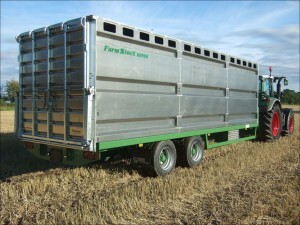 FarmStock Boxes are available in either single deck or two deck configurations, and in 20′, 26′ and 30′ lengths. 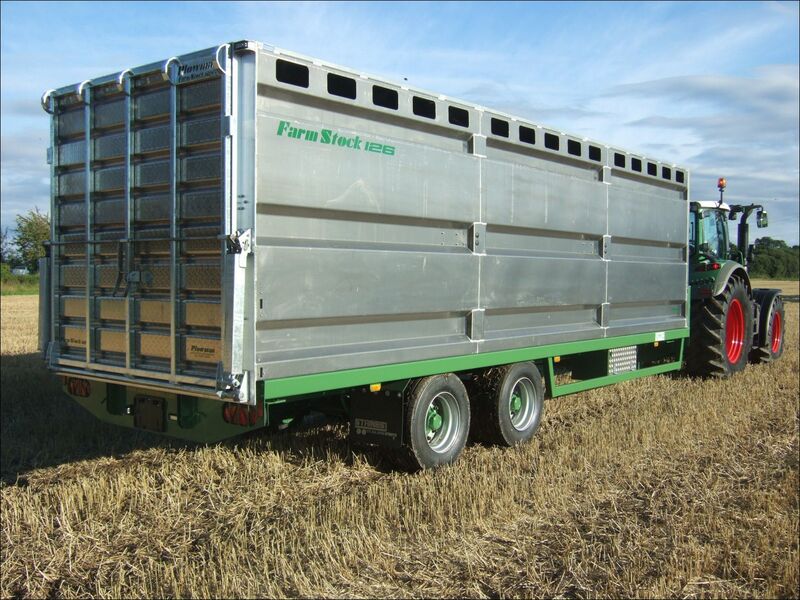 Full width cattle gates are fitted in each section of the single deck version or H-frame sheep/cattle gates over two decks. 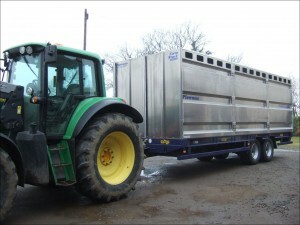 Moving gate is also available as an option. 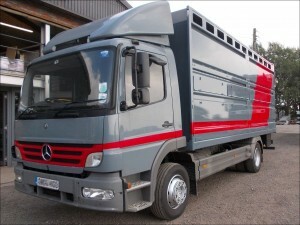 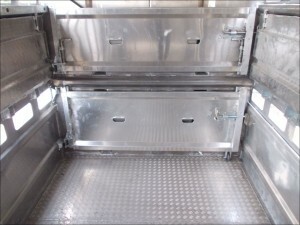 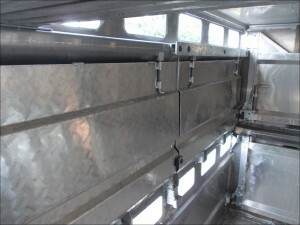 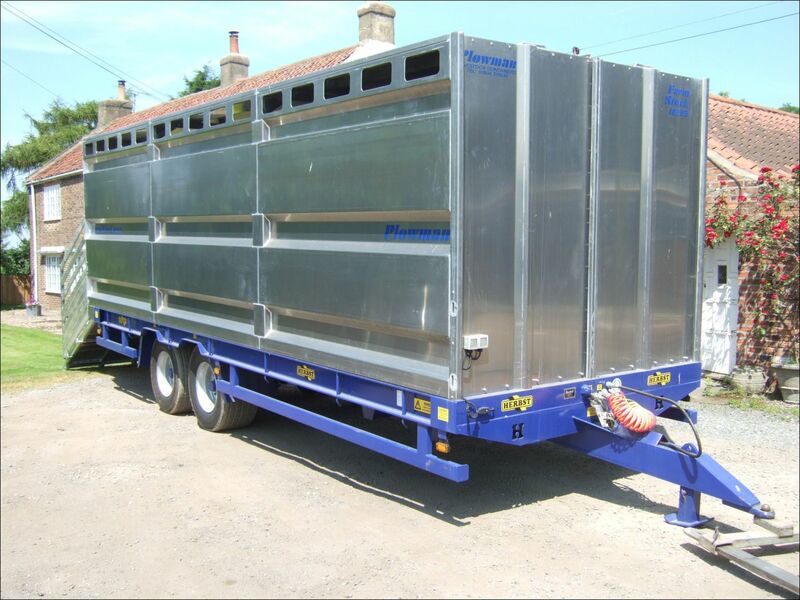 You can either supply the trailer yourself or we can source one for you if you prefer. 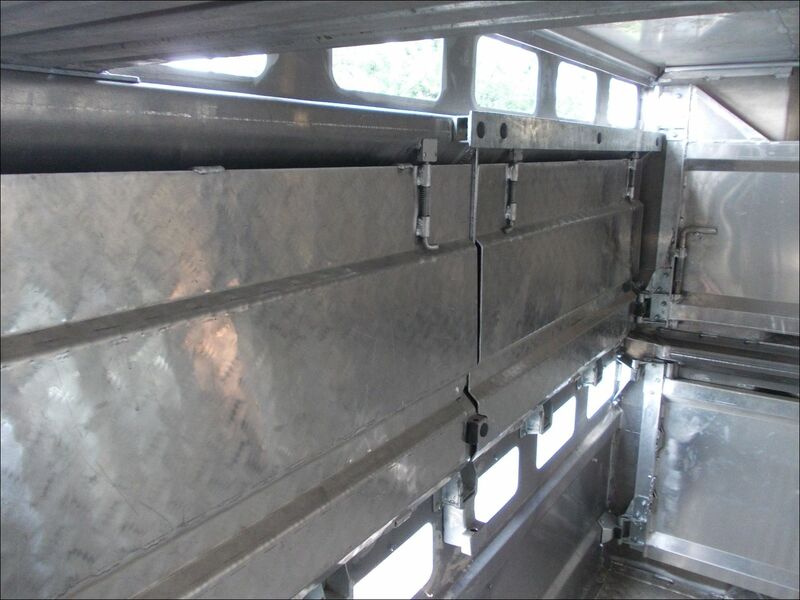 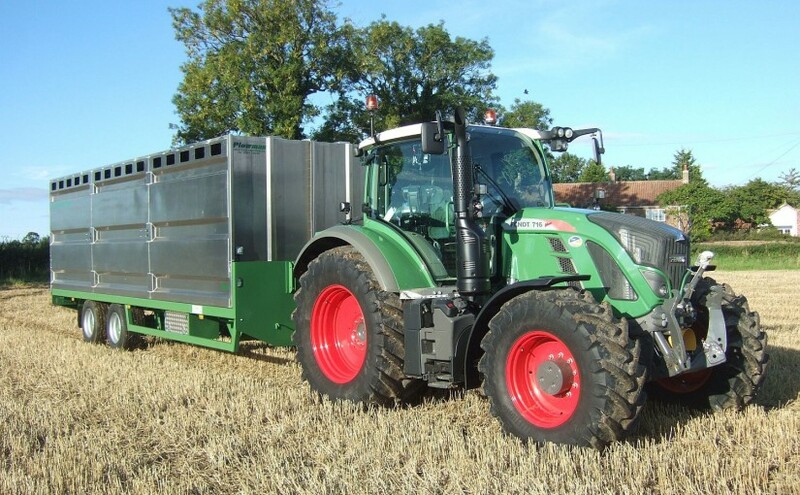 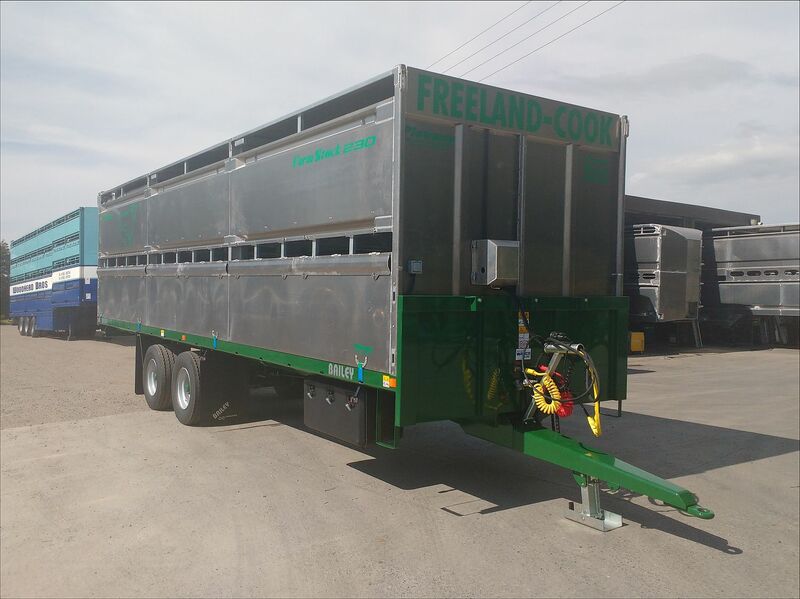 The FarmStock has integral lift-off brackets so that the trailer can be put to other use when not transporting livestock.